As of April 10, 2015, 88 Access Yes! Lease Agreements are currently active opening 382,303 private acres and 490,875 public acres. Please act responsibly and respect private property. 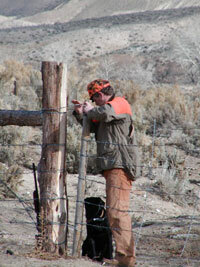 Your attention to landowner's requirements will help ensure a successful Access Yes! program for the sportsmen of today and tomorrow.